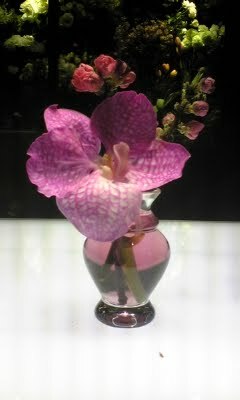 MYSTERIOUS PURPLE ORCHID FLOWER AT SHIBUYA. 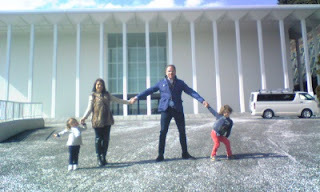 AT LAST THE LAST DAY OF THE TOUR OF FLORIS FAMILY HAS COME. 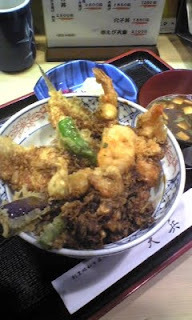 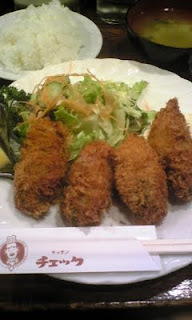 WE HAD A FANTASTIC TEMPURA AT TEMPEI AT AWAJI-CHO IN KANDA. 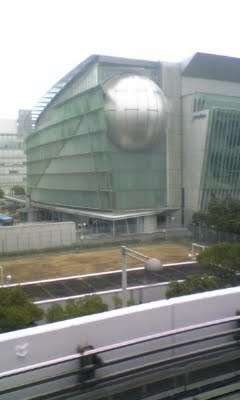 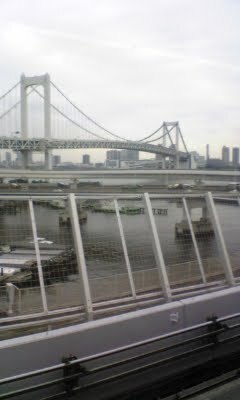 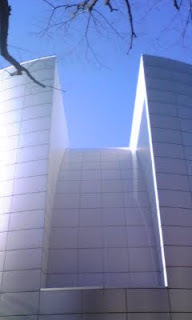 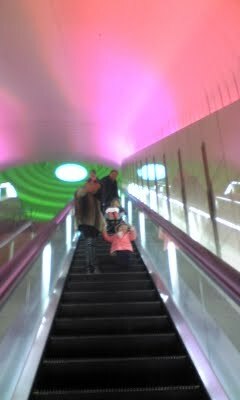 THE MAIN PURPOSE OF THE YURIKAMOME QUICK TOURE IS MIRAIKAN、FUTURE SIENCE MUSEUM.CHILDREN LOVE IT. WE ARE NOW CROSSING THE RAINBOW BRIDGE. 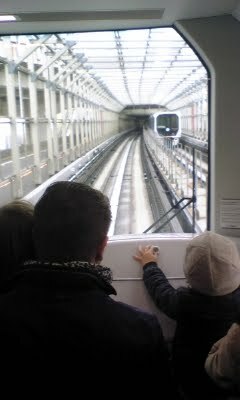 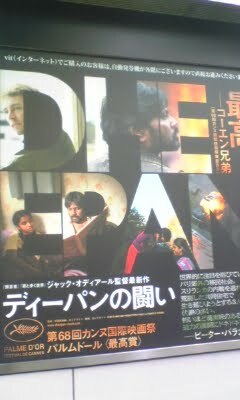 BECAUSE THERE IS NO DRIVER ON THIS MONO-RAIL、YURIKAMOME、 MATHEUS HAD BECOME THE DRIVER. 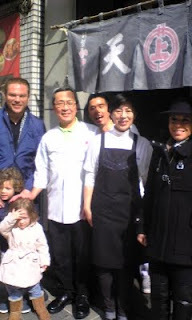 FROLIS FAMILY HAS ENJOYED THE QUICK YURIKAMOME TOUR IN THE COLDEST DAY OF FEBRUARY. 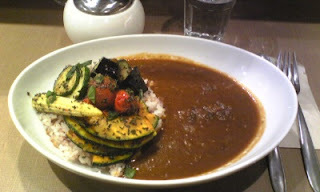 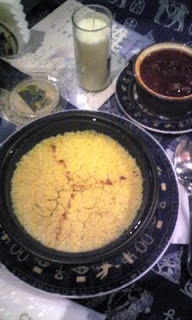 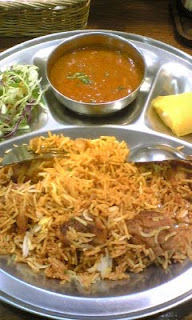 THE CURRY RICE OF CAFE MUGI NEAR HONGO 3-CHOME SUBWAY STATION. 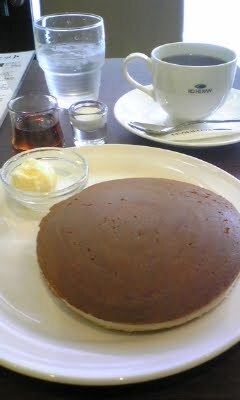 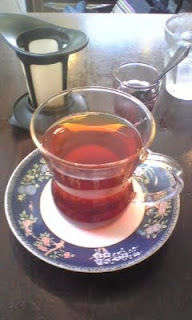 HOT CAKE WITH A CUP OF COFFEE AT KOHI-KAN AT NISHI-KAWAGUCHI. 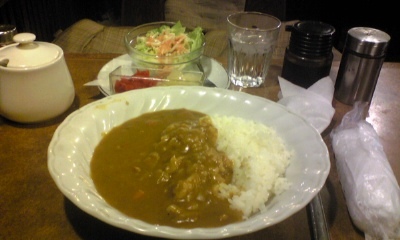 WHAT SHOULD WE EAT IN WINTER TOKYO? ONE OF THE GOOD ANSWER IS FLIED OYSTER. 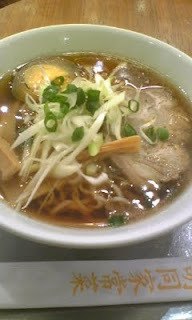 WHAT SHOULD WE EAT IN WINTER SEASON? 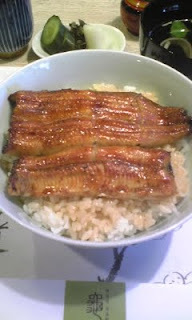 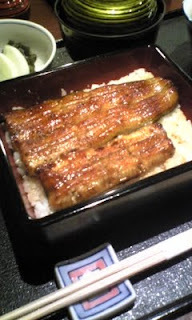 ONE OF THE BEST ANSWER IS GRILED EEL ON RICE、UNA-DON. THE FLORIS FAMILY IS JUST LANDING FROM THE SPACE SHIP. 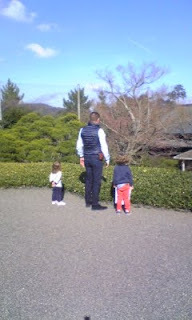 AFTER TAKING A CUP OF MATTYA GREEN TEA FATER and KIDS WALK THE GARDEN. THE FAMILY POSING IN FRONT OF THE PARTENON OF ATAMI.WHICH WAS ONCE THE KYU-SEI MUSEUM.FORMER MOA MUSEUM. 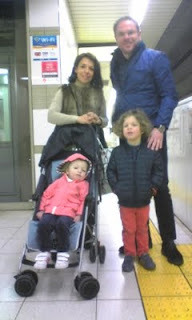 WE ARE NOW STARTING TO ATAMI. 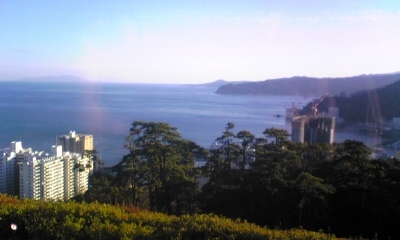 *THE ACCESS TO ATAMI FROM JINGU-MAE. 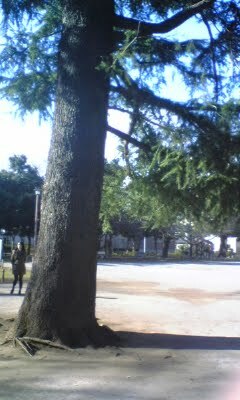 10:00 START from HOUSE、TAKE PHOTO at SENDAGAYA PRIMARY SCHOOL. 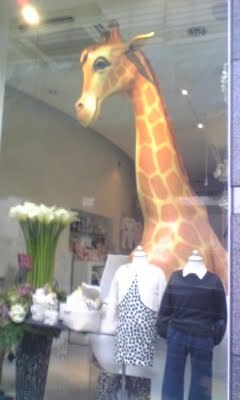 10:30 SHINJUKU-3CHOME、CHECK ISETAN DEPARTMENT STORE. 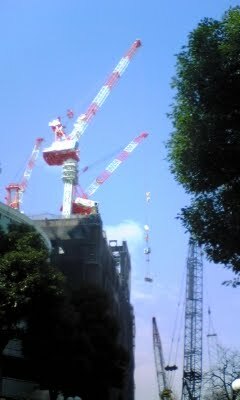 11:00 YOTSUYA、BUY JR SHINKANSEN TICKETS. 12:15 BUS from ATAMI to THE MOA MUSEUM. 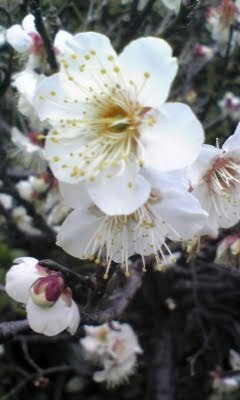 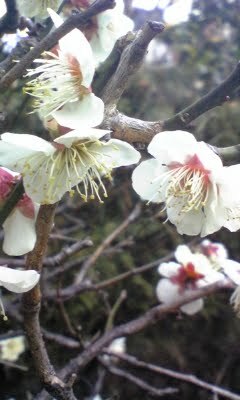 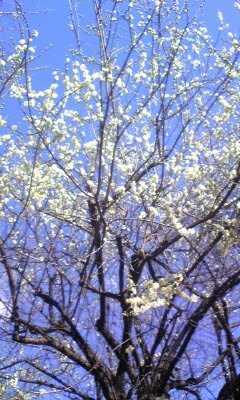 PLUM BLOSSOMES BLOOMING AT HEIWA PARK. 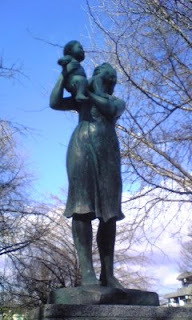 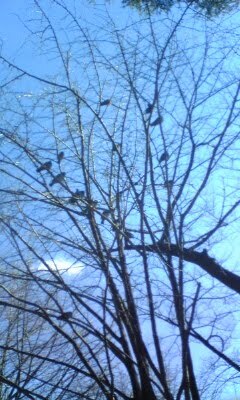 EARLY SPRING IN THE PARK. 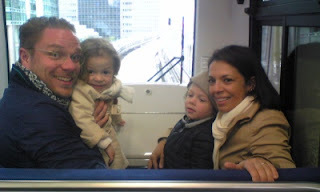 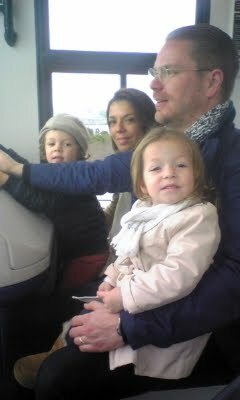 I HAVE JUST PLANNED THREE QUICK ONE DAY TRIP FOR FLORIS FAMILY. 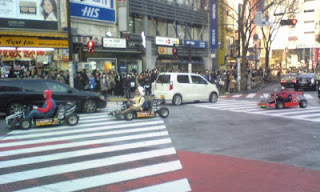 U CAN FIND THE OLD MEMORY LANE AT THE NORTH AREA OF SHINJYUKU STATION. IT IS A SPECIALL SMALL AREA WHERE REMAINED MANY OLD FASHONED SMALL RESTAURANTS AND BARS. 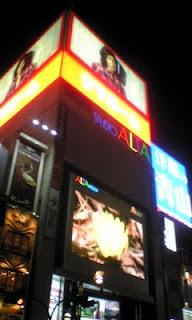 THE BIG VISION OF ALTA SHINJYUKU HAS BEEN ONE OF THE MOST FAMOUS SIGHT SEEING POINTS JUST LIKE THE SCRAMBLE CROSS AT SHIBUYA. 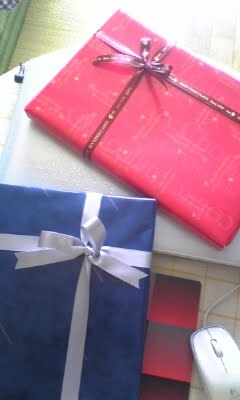 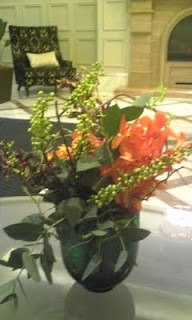 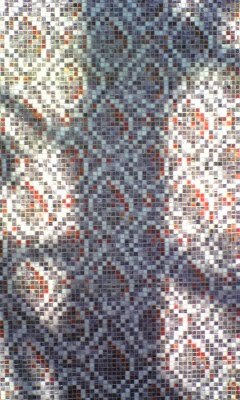 BUT THERE APPEARED BIGGER AND NEW VISION IN ANOTHER PLACE. 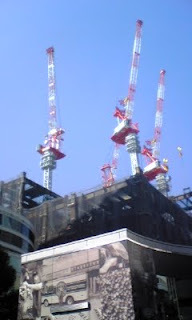 EVEN THOUGH IT IS STILL HOT and EXCITING SPOT HERE. THE SHINJYUKU NIGHT VIEW OF KABUKI-CHO. 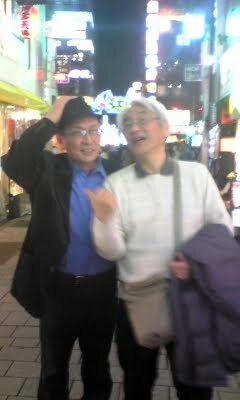 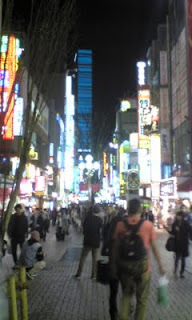 THE PARTY AT SHINJYUKU EAST HAS JUST ENDED. 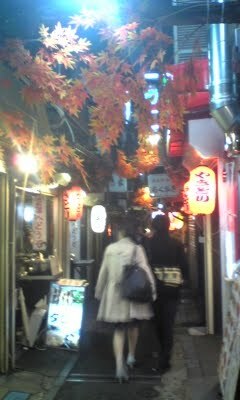 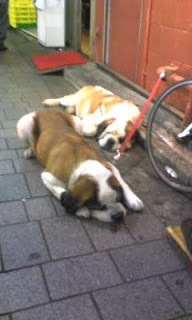 U CAN SEE THE NIGHT VIEW OF KABUKI-CHO OVER THEM. 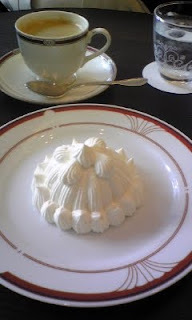 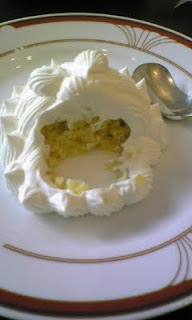 THOUGH CAKE IS SO SWEET I AM ANXIOUS ABOUT THE JAPANESE ECONOMY IN NEAR FUTURE. 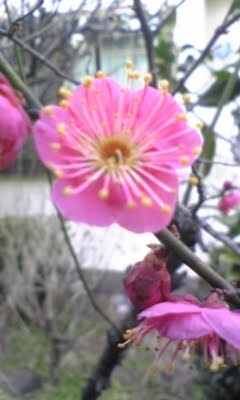 IT IS STILL COLD IN FEBRUARY. MARRON SHANTERY OF TOKYO-KAIKAN IS ONE OF THE TOP SWEETS OF JAPAN. 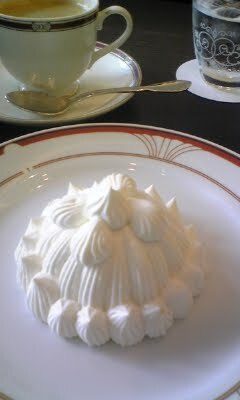 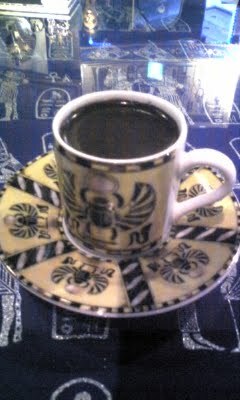 U CAN TASTE THIS DEADLY SWEETS AT THE CAFE IN HIBIYA SHANTE. 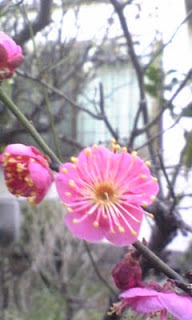 RED FLOWER OF PLUM BLOSSOM BLOOWING.